It's no secret that I'm a Sejuani fan. She is a character from the game League of Legends, a MOBA style game where you play as a champion from the world of Runetera. Sejuani is the boar riding leader of the Winter's Claw; a war hungry tribe bent on purifying their splintered nation of the weaker peace seeking tribes. 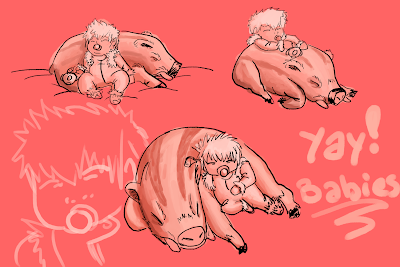 While joking around with my buddies about naming my next child after the future queen of Freljord my good friend and popular YouTuber RocknRoll4Life suggested that I draw Sejuani and her boar; Bristle; as babies taking a nap. I went ahead and tried to squeeze some of that in. unfortunately its looking like the video file I made of it got corrupted so I don't believe I'll be able to share the process of this one... but definitely feel free to check out my other sketchbook videos when you get the time. 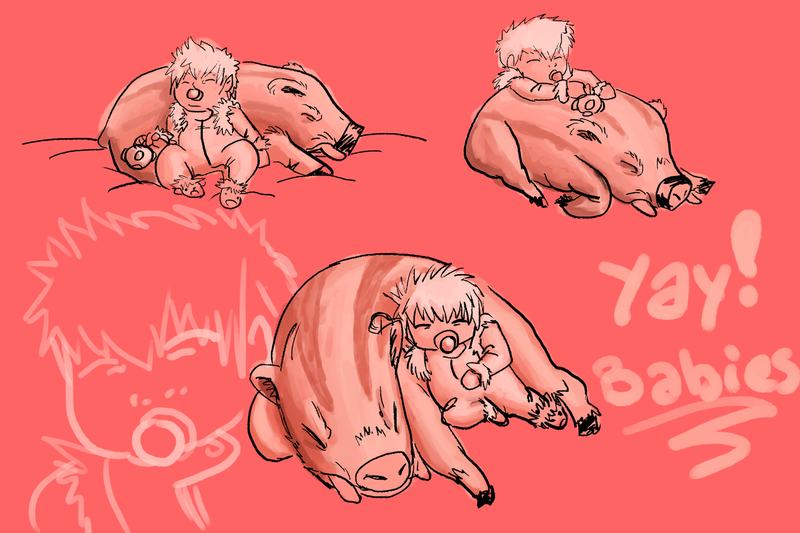 Well guys thanks for reading and checking out my art. As always God bless, be safe, see you next time!